A Scot who has settled in the slightly sunnier climes of Wiltshire. She has worked closely with Executives, Managers and staff for over 2 decades, starting as an HR Generalist in Blue Chip Organisations and more recently specialising in Organisational Development in Local Government. She is currently a member of the Southwest Councils Executive Coaching Pool. She’s also lectured and mentored at Henley Business School and mentors students at a secondary academy. A firm believer that good People Development isn’t rocket science and that many core principles of good practise can be applied across industries and organisations to create high performing individuals, teams and organisations. She keeps up to date with the latest research and has a particular interest in related developments in Neuroscience. On the coaching front, she has a proven track record in providing one to one coaching, helping in particular female senior managers and leaders develop and take action to achieve their professional and personal goals. Glass ceilings have happily been broken and Inspiring Leadership Awards, awarded as a result! Catriona lives with her husband and two teenagers, enjoys a dog walk and running in the countryside with friends. I had a series (6 x 2 hours) of coaching sessions with Catriona to prepare and develop me for a major restructure at work. I was delighted to secure a significant promotion, achieving a long term career ambition for me. I’ve now settled into my new post, and am about to start a new series of coaching sessions for which Catriona and I are developing clear objectives. I’m looking forward to these, as I know they will be challenging, rewarding and enjoyable. Catriona is a good listener and excellent communicator. She gave coaching support and mentoring which helped during the transition period between roles. Catriona was really good at giving me the time to understand my situation, and helped me through a difficult period of adjustment in the business. She managed to ask the right questions/scenarios to work through managerial issues to work out a pathway on which to go forward. Catriona was always available to give me support as well as challenge, and provided guidance when I asked for it. Catriona applies her knowledge and practice with a strategic focus. She cares about people and understands what needs to be present to access the potential in individuals, teams and organisations. I have worked alongside Catriona on a range of change initiatives involving a number of agencies where Catriona has always added great value. 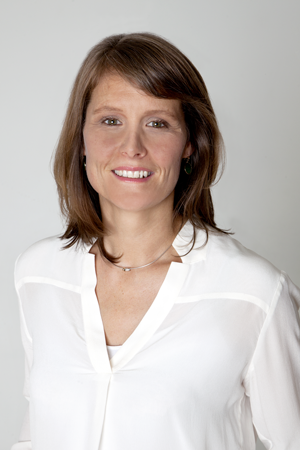 She has a wealth of experience and a passion for continually developing her practice. Catriona delivers her role as a personal coach, mentor and OD consultant with passion and dedication. As a senior manager, I’ve worked closely with her over the past five years. Catriona demonstrates excellent communication skills and consistently exceeded targets on the project work I commissioned with her. On a personal level, she’s charismatic and articulate, both qualities that have served her well in her role as an HR and OD professional. Catriona cares deeply about personal development and really invests in helping others to grow. She always works with integrity and is a highly perceptive person. Her feedback and support has helped me to gain greater insight into my own perspectives, strengths and development areas. In addition, she has a balanced approach, knowing when to support/encourage and when is the right time for a greater push/challenge. Thank you Catriona! Catriona is approachable and lovely to work with. In my line of work, I have always dabbled in a multitude of different genres and types of industries, and considered specialising in, and with her help, I was able to really laser in and make key decisions, based on my strengths, experience, personality type and personal goals. Highly recommend!